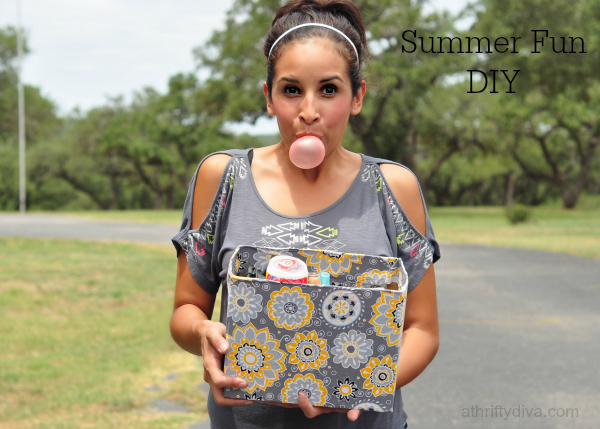 My simple summer DIY today is inspired by my disaster of a vehicle and chewing gum. Not any chewing gum either, I am obsessed with Juicy Fruit® Fruity Chews they are instant fun, delicious and provide a lot of entertainment. I have been having this constant urge to simplify and declutter everything. With a family of five we seem to collect all kinds of randomness everyday. The idea to declutter my vehicle is nothing new. I do a good sweep of my suburban weekly and have a hard time deciding what we need and what we don’t for our daily adventures. 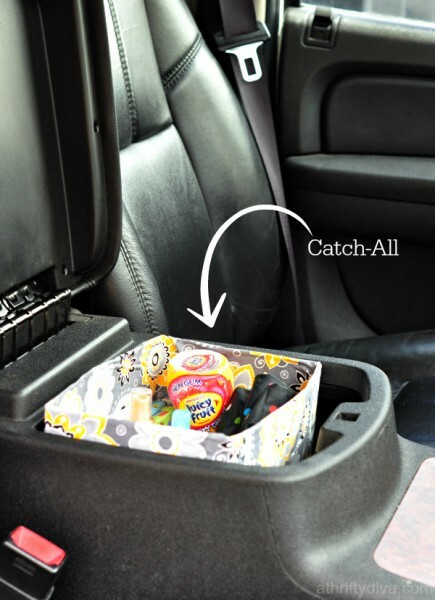 My vehicle is full of places to hold stuff, but the unorganization of crevices, pockets and a non-functional center console led me to making this catch-all that slides into my center console space. A place to keep my Juicy Fruit Fruity Chews, pens, small umbrella, sunblock, phone cords and dvds all stay in one spot and not scattered throughout my vehicle. 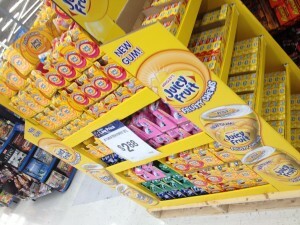 To start any DIY summer project you should first head to Walmart and grab your own Juicy Fruit Fruity Chews. Trust me this is a great way to get your imagination flowing. It’s an experience all it’s own and you can practice your bubble making skills, like I do. 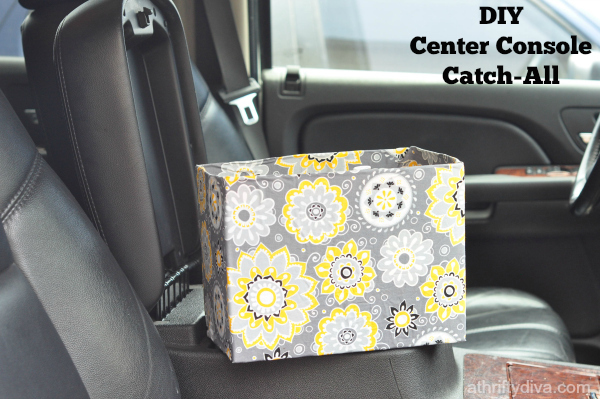 Repurpose a box that will fit snug into your center console. This Ziploc box fits just perfect in my suburban. You could always alter a random box to fit perfectly into your car. 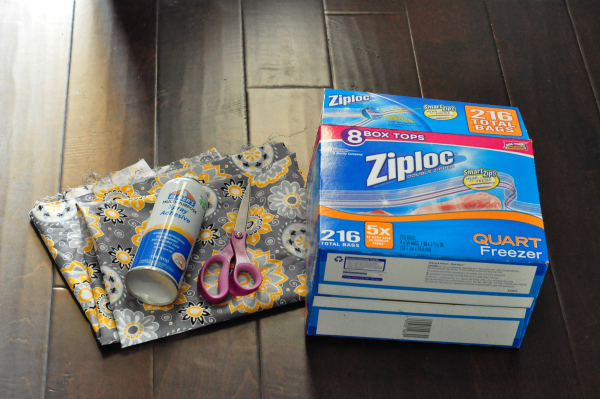 You will also need a scrap piece of material, scissors and spray adhesive (one of my most favorite diy tools). 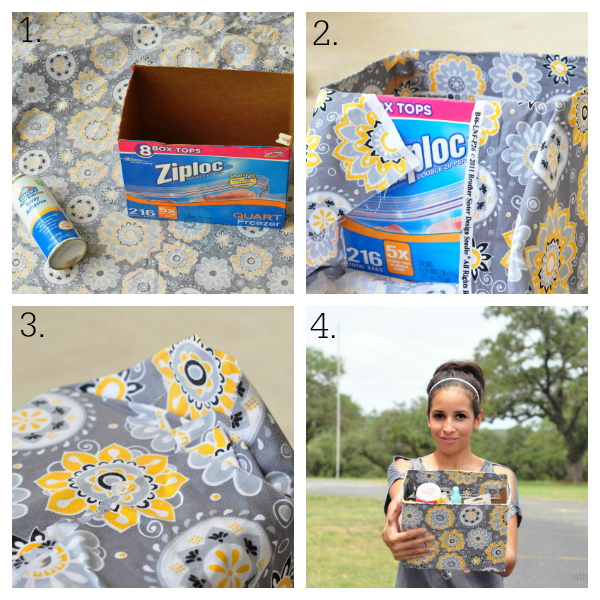 Simply cut the fabric to cover the entire box and use the spray adhesive to attach it. Let it dry 2-3 hours. The spray adhesive will help it to become more stiff. Fill it with all of your traveling essentials. 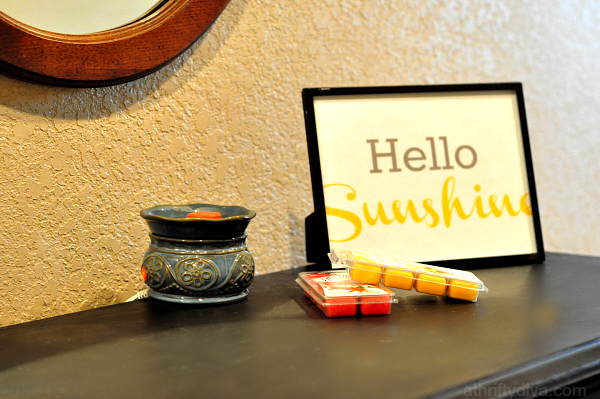 I now how this adorable place to keep all of my necessities hidden and together.